The Legend Returns brings with it a new main scenario, as well as the alliance raid dungeon Return to Ivalice, which was developed in collaboration with Final Fantasy Tactics director Yasumi Matsuno and prolific director and character designer Keita Amemiya. Patch 4.1, The Legend Returns, will be available on PS4 and PC in early October. Be sure to keep an eye out for this game's the latest news, visit the official website here. This patch opens up housing in Shirogane, an epicenter of traditional Eastern Asian design. With this update, you'll not only be able to relocate your in-game home, but also be able to take full advantage of storage. As for the new alliance raid, Return to Ivalice, the residents of Kugane wake up to a rather large surprise. 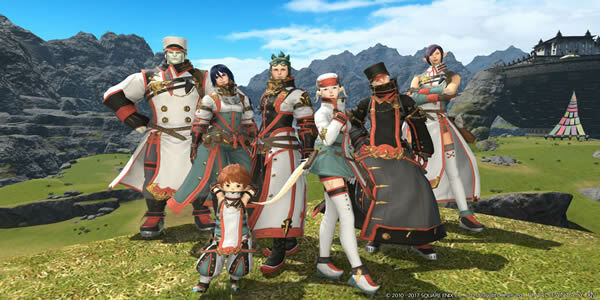 Some screenshots on the patch were showcased at FFXIV4Gil, you can now go to website to preview these screenshots. The Patch 4.1 of Final Fantasy XIV launches in early October. More precisely, this patch will arrive a few weeks after 4.1 officially hits. In addition to return to Ivalice there's also an extension of the main story, a new dungeon, housing updates and more.